I distributed a survey to 24 DFIs, contacted by email. In total eight organizations responded to the survey, namely: FMO, AFC, DBSA, CDB, CAF, XacBank LLC, SANBI and GEF Small Grant Programme . Due to the response rate being incomplete, the survey was distributed to three more entites that are not DFIs, two of which responded (SANBI and the GEF Small Grants Programme). Q8-The impact of capacity building/reorganization on development of initial pipeline of project and programmes, concept notes and funding proposals. Q9-The impact of reorganization on project implementation. Q10-How reorganization had impacted on the DFI’s access to GEF/GCF/AF information. Q11- How reorganization/capacity building had helped to meet the GEF/GCF/AF fiduciary standards. According to figure 1, ‘up-skilling of staff’ was seen as having had the most positive impact by 5 out of 5 respondents who answered this question. 4 out of 5 respondents stated that ‘creation of a unit’ dedicated to climate change had the most positive impact. AFC was the only respondent who indicated that developing a unit dedicated to climate change did not have an impact on development of initial project pipeline and programmes, concept notes or funding proposals. 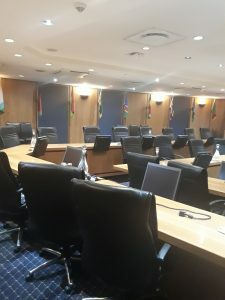 Overall, the results indicate that all the classes of reorganizations were considered to have had a positive impact on the development pipeline of concept notes, funding proposals, projects and programmes. 4 out of 8 respondents rated creation of a dedicated unit and the hiring of additional staff as having had the most positive impact on project implementation. Overall all the types of reorganization had a positive impact on project implementation. Two respondents also indicated that other types of reorganization also had a positive impact on project implementation. In terms of the impact of reorganization on the DFI’s access to GEF/GCF/AF information. A dedicated unit was rated as having the most positive impact (by 4 out of 8 respondents), followed by hiring additional workers. One respondent, the XacBank LLC, indicated that trainings from GEF/GCF/AF and up-skilling existing workers did not have a significant impact on accessing funder’s information. Overall according to the results all the types of reorganization had a positive impact on accessing funder’s information. From the results of question 11, none of the classes of reorganization seemed to have had any impact on meeting the funder’s fiduciary standards. 4 out of 6 respondents indicated that hiring additional staff had no impact on meeting these standards. 3 out of 5 respondents also felt that training from GCF/GEF/AF did not significantly impact on meeting the funder’s fiduciary standards. Figure 1: Impact of reorganization on development of initial pipeline of projects and programmes, concept notes and funding proposals, project implementation, DFI’s access to GEF/GCF/AF information and on assisting to meet GEF/GCF/AF fiduciary standards. Table 1 shows how specific capacity building has helped to overcome specific barriers. The types of barriers which were identified varied. Creation of a dedicated unit, trainings and attending workshops appeared to help overcome most barriers. Most respondents expressed that trainings from the GEF/GCF/AF are not effective in assisting them to overcome problems in accessing climate finance. However, one respondent indicated that, gender mainstreaming training assisted their organization with mainstreaming gender in projects. On the contrary trainings offered by funders aim to strengthen the competencies of organizations and to improve their performance in project implementation by ensuring that projects are in consistent with funders’ requirements (GCF, 2018c). Furthermore, other external issues such as political interference were seen as key barriers to accessing climate finance, but unfortunately no solutions was identified to address these types of barriers. Moreover, climate finance represents a complicated national decision making process because it involves government, implementing agencies, executing agencies, consultants and other various stakeholders, however there is some limited research that addresses the influence of political interference in the allocation and use of climate funds amongst these several stakeholders (Pickering et al., 2015). The authors of this study explained that when it came to climate finance policy; monetary value and political landscape all play an important role in how the funds are actually used (Pickering et al., 2015). In conclusion most of the barriers to accessing climate finance can be addressed through reorganization, however barriers political interference cannot be addressed through reorganization. A dedicated unit and upskilling of existing employees are the best strategies and cost-effective methods to improve access to climate change through reorganization. When a unit is dedicated to specific functions of an entity, it is important to ensure that there are enough human and financial resources within the unit and the resources must be efficiently utilized. In addition, monitoring and evaluation on the progress of the projects is important, because it helps in identifying where progress was made and how improvements can be made, it also becomes easier to identify when resources such as financial resources where mismanaged. (Wilson, 2015) outlined that restructuring is a byproduct of significant changes in strategic and financial management structures, consequently restructuring creates a need for corresponding changes in the entities decision making process, hence this results in changes such as creation of dedicated units, hiring additional staff, upskilling existing staff and trainings. Based on the overall perception of participants, the respondents found creation of a dedicated unit to be most cost effective. Burke (1998) has argued that it is common for organizations to undergo restructuring, especially when they are faced with a challenge, and that they may use restructuring as a method of addressing the problem through attempting to improve efficiency (Burke, 1998). Lastly, organizational transitions are drivers of new, innovative and more flexible organization forms that will be necessary to meet the demands of the competitive global markets such as climate finance. Can we print money for climate change? A financial expert, Michael Metcalfe, gave a TED talk about the possibility of using SDRs issued by IMF to combat climate change. Climate change is a global challenge and requires international cooperation just like the global financial crisis which happened in 2008. The SDRs can be sold to buy green bonds or donated to the GCF to meet the promise of mobilizing $100 USD per by 2020. Watch the TED talk, on the link below, and learn more about a strategic way to finance the fight against climate change. High level GCF project pipeline flowchart. The status of each of the projects in the pipeline – including project implementation stages and implementation plans. Monitoring and evaluation and reporting. Moreover, what was interesting was that GCF and GEF has an advisory panel who gives inputs on projects, after reviewing them. And also after submitting the concept notes to the GEF, which is a summary of a proposal, the GEF gives funding which is called the Project Preparation Grant. This type of funding assist project developers financially, to cover costs that are incurred when transitioning projects to a technically, financial and sustainable sound state. 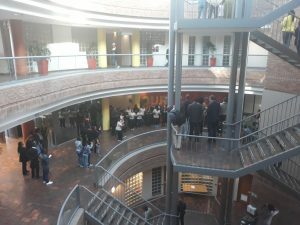 The DBSA hosted the BRICS Financial Forum in Cape Town this week. Catch a broadcast of the panel discussion held on the sidelines of the Forum on “Infrastructure Finance, Hurdles and Opportunities” on CNBC Africa. July has been a busy month! Professor Susan Booysen, MISTRA's director of research, giving a welcoming speech. I finalized designing the survey and distributed it last week, to 24 DFIs which are accredited to implement projects (funding project preparation and construction of programmes and projects) on behalf of GEF/GCF and or Adaptation Fund. I am hoping for a high response rate after 3 weeks and I can start analyzing the results. Moreover, I submitted the 1st and 2nd chapter of my dissertation last week. 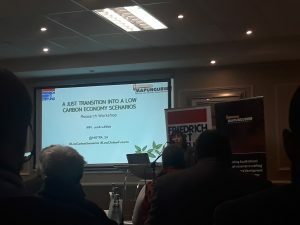 Last week I also had a chance to attend the GEF workshop in Durban, where projects that the eThekwini municipality/City of Durban is currently working on were presented. The projects which were presented have a potential to be funded by the GEF, under the GEF’s Sustainable Cities Programme, read more about the programme here https://www.thegef.org/topics/sustainable-cities. The programme aims to address environmental degradation in large cities located in developing countries. Drivers of climate change, such as urbanization, high population growth/migration, high consumption of energy etc., usually occur in cities. Therefore, GEF sees cities having the potential to be drivers of green economic development and climate resilient communities. On the 12th of July I attended another workshop conducted by MISTRA, “Transition to low carbon economy scenarios”. Different low carbon scenarios were presented and discussed. What was really interesting was that South Africa has to simultaneously address climate change and the usually neglected development issues such as unemployment and unsecured land tenure. Furthermore, it was discussed how mining waste affects poor communities downstream. Astonishingly, mines are one of the main sources of income for poor households in rural areas. Mines create job opportunities, for people without skills that are in demand in the job market. The main question was where will mine workers work if mining activity is ceased. 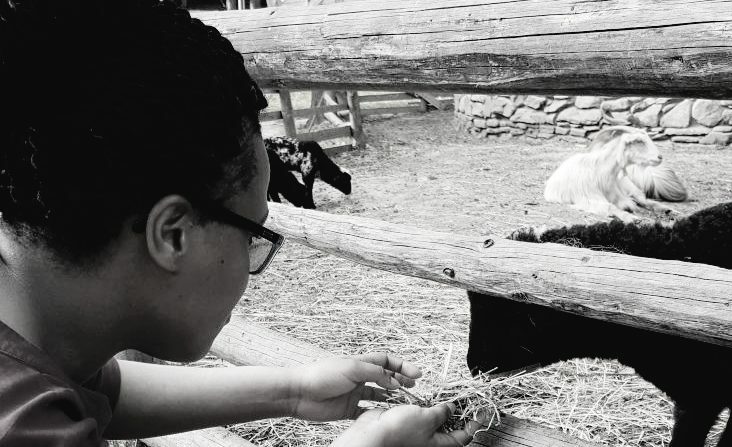 Even though some of them can go to farming, most of them will struggle to find jobs because South Africa already has an unemployment rate of 26.6%. In the meantime, I am waiting for responses from DFIs and gathering literature which I will use to discuss my research findings. Get highlights of the 20th Green Climate Fund board meeting, which was taking place from the 1st - 4th of July in South Korea, by joining the 'Decoding the GCF B. 20' webinar, next Thursday 12th July at 1pm Irish time. DBSA choir rendering a special song. In the spirit of the Mandela Month (July), DBSA decided to tackle the 2nd Sustainable Development Goal “Zero Hunger”. Staff members and children who are over 12 devoted 67 minutes of their time, to help with packing food parcels which will be donated. 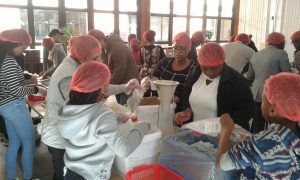 Last year, DBSA reached a target of 75 0000 meal packages. However, this year, the bank is being more ambitious, setting the target to 100 000 meal packages. The DBSA choir also rendered a special item in memory of Tata Mandela. It is in our hands now to make the world a better place". We dare not fail. In the mist of my hectic schedule, doing corrections for my research proposal and finalising my literature review. Yesterday, I got an opportunity to attend the ‘Green Fund Management Committee for Funding’ meeting, which was held at DBSA. The meeting was chaired by the Director General of Department of Environmental Affairs. 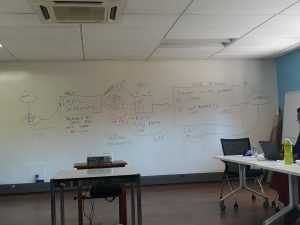 The DBSA Climate Finance Unit, the team that I am doing my masters internship with, was presenting project proposals that aim to address the impact of climate change in South Africa. The meeting was informative, it was evident to me that many local stakeholders in South Africa, are keen about combating climate change. Most of the projects were based on mitigation actions, particularly green energy some were about water treatment facilities and waste material recovery facilities. Climate finance is definitely helping South Africa to play a role in the global climate action arena. DBSA receives various funding from international donors such as; European Union, KFW, Infrastructure Investment Programme for South Africa (IIPSA), Global Environment Facility (GEF), Green Environmental Fund (GCF) and other project preparation facilities. GEF and GCF provides funding for climate orientated projects, which benefit the public. The bank provides support to the SADC region and other priority countries outside the SADC region, through financial support in the form of grants, loans and equity. Each country that receives funds from GEF and GCF, through DBSA has a focal point, which is usually a government entity, to ensure that projects funded are in line with the national strategy priorities. 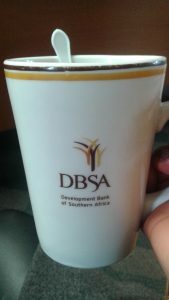 In 2014, DBSA was accredited as a National Project Agency (NPA) for the Global Environment Facility (GEF), furthermore the bank is one of the 54 entities accredited to the GCF. The bank seeks resources from the GEF Council and GCF to fund climate projects, some projects funded still need to be prepared and be transitioned into projects which can be implemented, and some can be funded during the development and implementation phases. Parties who need funding can submit proposals, during the calling periods. Most of the projects which have been funded are based on renewable energy and the bank also funds ICT, water and transport projects under GCF finance mechanism. 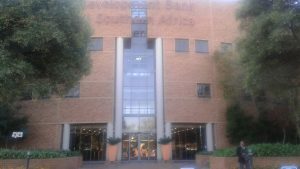 Finally started my research placement, at DBSA today! I received a warm welcome from the staff and they helped me to settle in. I’m looking forward to meeting my supervisor on Monday and discussing more details about my project… My colleagues have a different range of academic and cultural backgrounds, my internship at DBSA will definitely be a leaning journey.